Australia is famous for its dry, hot conditions, especially when you’re working outside in the blazing sun. You want your safety gear to be as lightweight and cool as possible when you slip it on over your work gear. We have just the answer. Our safety singlets are designed and manufactured right here in Australia. They are built for the conditions that you work is. 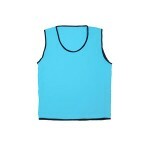 Here you’ll find safety singlets in a massive range of fluro colours and styles, all in generous sizes from XS-10XL. Bright 50mm reflective tape is optional, with your choice of designs. 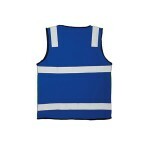 Our entire range of safety singlets are designed to meet or exceed AS/NZ Standards, with tough, high quality materials. If you want something specific to your needs, that’s easy! With our convenient customisation service, you can add your own design or logo right when you order – no fuss! Buy online & save! And with our super fast shipping, you’ll have your custom vest delivered right to your door before you know it! Hi Vis Singlet Are you looking for a hi vis singlet that’s tough, lightweight and built for work and play? Look no further. Our hi vis singlets are perfect for working at festivals or events,..
Reflective Hi Vis Singlet When you work outside under the hot Australian sun, you know the value of good safety clothing. You know, the kind of hi-vis gear that you can wear all day without even kno..